Reviews of Trader Joe's products. What to buy at Trader Joe's, the best grocery store! Pumpkin season at TJ’s is always one of my favorite times of the year. 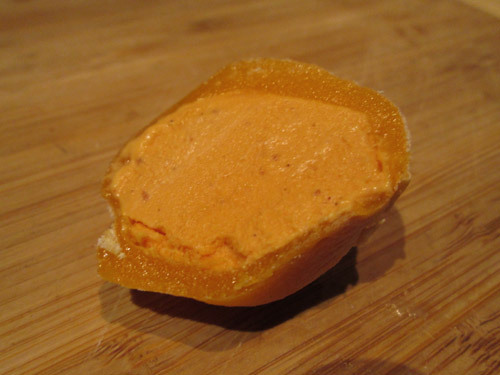 I usually make at least 3 trips to pick up roughly one of everything pumpkin related during the fall, and I made sure to grab a box of these when I saw them in the freezer section. 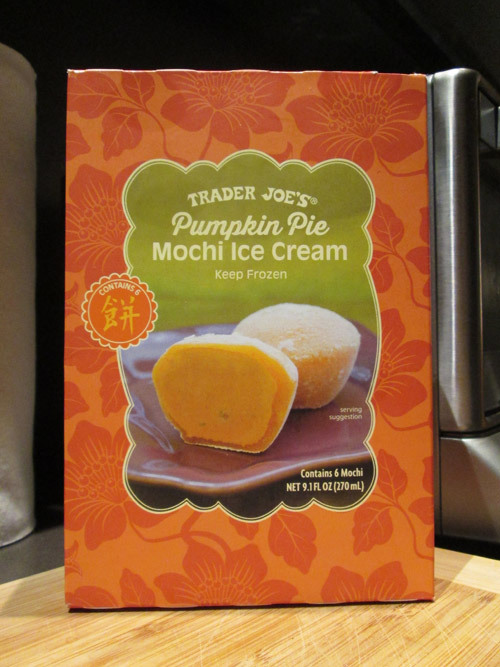 I’ve had Trader Joe’s Pumpkin Ice Cream before, so I figured these had to be fairly similar. I didn’t try them side-by-side, so I can’t say for sure, but I’m pretty sure the ice cream in these is the same as the regular TJ’s pumpkin ice cream. Unlike some of the other recent mochi ice creams they’ve had (Mango Mango Mochi and Coffee Mochi), these weren’t dairy free, and also didn’t have a special center. However, they were still great! 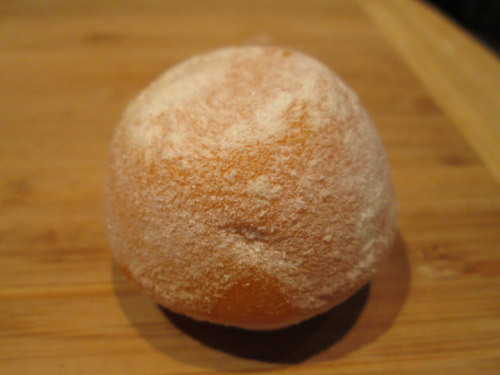 Not quite as good as the Mango Mango Mochi from the summer, but still pretty good. The ice cream was super pumpkin-y with some hints of cinnamon and nutmeg thrown in. There were also some small chunks of graham cracker in it for the crust part of the “pie” flavor, but I thought these were a little strange just because of the texture. I’d have been just as happy without them. Still, they were pretty great for a frozen fall/winter flavor (I usually like warmer desserts over ice cream when it’s cold out). I’m not sure I’ll buy them again though, just because there are so many other yummy holiday desserts to eat over the season. Maybe next year, though.